Patricia Thompson was born Patricia Drakeford Cole in Auckland on 21 March 1912, the daughter of Patrick Cole, a draughtsman and Ida Grace Cole (née Sharland). Following her parent’s divorce in 1923, Patricia and her mother moved to Sydney. Pat then completed her schooling at Sydney Girls High School. Despite her being academically gifted, Pat’s mother was determined she leave school at the end of the Intermediate Certificate and enrol at Business College where she learnt shorthand and typing. In 1936 Pat travelled to London where she was exposed to leftist ideals and stimulated by a wider world view. The following year she undertook temporary work as a stenographer with the League of Nations in Geneva. Returning to London she met the aspiring Australian poet John Thompson. Taking a position with the Left Book Club, a division of the publishing house Victor Gollancz, she put aside plans of a career with the League of Nations in favour of marriage with John on 4 June 1938. With outbreak of war threatening, the Thompsons returned to Australia in 1939, settling in Perth. After the close of the Second World War they moved to Sydney where John took a position as a feature writer and producer with the ABC. With their sons Peter (born in 1940) and Jack (Peter’s best friend at school who was adopted by the family), they settled first in Collaroy and finally in Paddington in 1951, at 66 Goodhope Street. Pat and John Thompson moved to Paddington when it was a neglected and run-down suburb, but they both enjoyed its sense of community and cultural diversity. Paddington had been placed under direct threat by the endorsement in 1951 of the planning scheme for the County of Cumberland, which proposed new zonings and roads for Sydney. Pat and John recognised the importance of Paddington’s unique character and appearance and were united in their conviction that the suburb deserved protection and preservation. A chance meeting with another like-minded resident, Marea Gazzard, led to the formation of the Paddington Society in 1964. The aims of the Paddington Society were, and remain, the preservation of the environmental and social amenity of Paddington, with a strong emphasis on conservation. The official inauguration of the Society was held on 11 August at a well-attended meeting of residents at the Paddington Town Hall. Pat was a founding member along with her husband John, who was elected the Society’s first president. While John was an inspiration to others to take up the cause for Paddington, it was Pat who became the central figure of the Society. She had great skills as an organiser, and her charm, intelligence and wide network of friends and contacts meant she was able to reach and secure the support of the local community and those further afield. Pat realised the need to raise community awareness of Paddington’s history in order to foster an appreciation of the value of its heritage and ultimately its preservation. To this aim she used her skills as an organiser, persuasive speaker and talented writer; editing and producing newsletters, and arranging talks, tours and other social events. During her ten-year membership of the Paddington Society she served as editor of the newsletter and as honorary archivist, she was convenor of the social sub-committee and was elected to the management committee in 1966. She then served as secretary from 1968–70 and was elected president in 1972, a position she held until her retirement from the Society in 1974. The Paddington Society’s first co-ordinated campaigns of protest targeted the immediate concerns threatening the survival of Paddington: zoning proposals that encouraged whole-sale demolition and high-rise development of the suburb, and Department of Main Road (DMR) plans to create arterial roads extending through Paddington and West Woollahra from Oxford Street to New South Head Road – one along Liverpool Street/Neild Avenue and the other along Jersey Road. Operating through public meetings and political lobbying, the Paddington Society generated sufficient voice to secure a public inquiry into the objections raised to the government planning proposals. The inquiry was conducted by independent commissioner Walter Bunning, who, following consideration of the submissions, recommended against the plans to widen Liverpool Street. Pat’s research into Paddington’s past, specifically the area threatened by the expressway which contains the earliest concentrated residential and commercial settlement in Paddington, revealed the extent of what would be lost should the DMR’s proposals go ahead. Her submission to the inquiry helped convince the Commissioner of the significance of Paddington’s history and the importance of retaining the suburb’s fabric. Bunning further recommended as the Society had proposed, that Paddington, including West Woollahra, should be declared a precinct of architectural and historical merit and also that the whole of Paddington be protected by a new conservation 2(g) zoning. The Paddington Society then took on the considerable task of producing a proposal for a plan for the preservation of Paddington which was presented to Woollahra Council in 1970. Despite the Government’s endorsement of Commissioner Bunning’s findings, the plans to widen Jersey Road remained and presented, in Pat Thompson’s estimation, ‘an even more brutal proposal’. The Paddington Society, which after the news of John’s death in July 1968, had seemed to Pat to have been ‘paralysed’, was galvanised into action and another highly organised campaign was mounted to see these plans overturned. Pat Thompson was one of the most active of the organisers in publicising the road widening plans and co-ordinating the public rally that drew broader attention to the issue. As part of the Jersey Road campaign she and Leo Schofield distributed hundreds of rolls of black crepe paper with which people were asked to decorate their houses – in effect placing the street in mourning. The event drew thousands of protesters to the streets of Paddington and was featured prominently in the media. The Society was successful in ensuring that another official enquiry, this time headed by Walter Abraham, was held. In 1970 the Minister for Local Government supported Commissioner Abraham’s recommendation against the widening of Jersey Road. 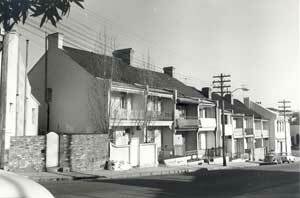 Terrace houses in Jersey Road which survived the 1969 threat of demolition for road widening, c1970. As a result of these well-publicised achievements, the Paddington Society, since credited with being the first resident action group in Australia, gained the attention of residents elsewhere who sought the means to give voice to their opinions regarding local issues, and so the Society’s influence was to extend well beyond the boundaries of Paddington. Closer to home, the inaugural meeting of the Queen Street and West Woollahra Association was called in 1972 by a group of local residents determined to preserve the character of Queen Street and its surrounding district. Pat Thompson, by then a resident of Holdsworth Street, was an invaluable asset for the new West Woollahra group, sharing with fellow members the benefit of her experience from the work and functioning of the Paddington Society. Pat Thompson remained a committed and tireless campaigner for the preservation of both Paddington and West Woollahra. 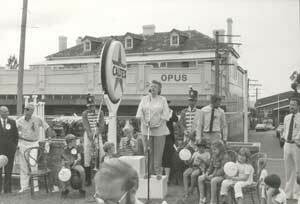 She was an active participant in the successful fight to save Juniper Hall, Paddington’s oldest surviving house, speaking at the public rally held in 1984. During the 1950s Pat worked as a secretary and then as a stenographer and typist for the court reporting service. After John’s death Pat travelled widely and concentrated on her writing, authoring and collaborating on a number of publications. Her four works on Paddington, The Story of Paddington in 1968, Paddington an area of special architectural interest in 1969, Paddington sketchbook in 1971 and Paddington sketchbook in 1975, were the first such publications devoted to the history of the suburb. Towards the end of her life she wrote her autobiography Accidental Chords. Pat had a lifelong love of literature and developed a wider interest in the arts. Encouraged by Don and Marea Gazzard, she investigated the local crafts industry and produced the book Twelve Australian Craftsmen in 1973. She belonged to the World Crafts Council and completed, in association with UNESCO, an 8-year survey of crafts in Asia. She also served on the editorial board of Craft Australia. 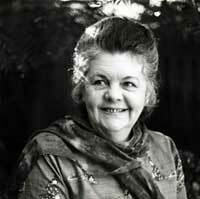 Pat was a member of the Society of Women Writers and served as vice-president, secretary and committee member of the Australian branch of PEN (Poets, Essayists, Editors and Novelists). The early work of the Paddington Society and the energy and commitment of its members and central figure Pat Thompson helped to ensure the survival of the fabric of Paddington and ultimately West Woollahra. 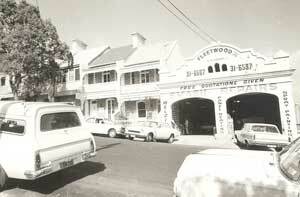 Paddington was officially recognised as a suburb of unique heritage significance in 1974 when the entire suburb was classified as an urban conservation area by the National Trust of Australia (NSW), the first suburb to be so recognised by the Trust. Paddington, along with West Woollahra, has been gazetted as a heritage conservation area as part of the Woollahra Local Environmental Plan and its significance is acknowledged by the Paddington Development Control Plan. On 6 February 1987 Patricia Thompson died aged 75. Her obituary in the Sydney Morning Herald described her as ‘a woman of strong character and courage whose zest for living and interest in the arts led her to many countries and diverse activities’. The Paddington Society remembered her as ‘an essential part of the driving force and spirit of the Society in its first decade’ and ‘a tireless and enthusiastic worker, an efficient and diplomatic secretary and a guiding forceful president’. She is survived by her sons Peter and Jack. In recognition of Pat Thompson’s contribution to the local area, the official dedication of Pat Thompson Park in Holdsworth Street by the Mayor of Woollahra Geoff Rundle and Councillor David Shoebridge, with her sons Peter and Jack in attendance, took place on 17November 2007. Her name is intrinsically linked to the years of early resident action in the area, through which means a local community played an important role in overturning a series of major government proposals which would have irreparably destroyed the heritage, amenity and quality of life in the suburbs of Paddington and West Woollahra. Halliday, Alison and Brampton, Robin, Queen Street and district: a history and guide, Queen Street and West Woollahra Association, 1987. Heimans, Frank, ‘Pat Thompson: Interview of Don Gazzard and John Cooney’, ‘Women in Woollahra’ Oral History Project, December 2008. Heimans, Frank, ‘Pat Thompson: Interview of Peter Thompson’, ‘Women in Woollahra’ Oral History Project, February 2009. Johnson. Ron, It never stops does it! 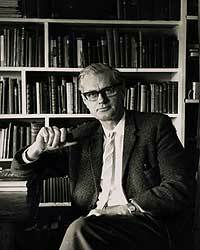 A Profile of the Paddington Society: Pioneer in heritage activism 1964-2004, The Paddington Society, 2003. Kirkpatrick, Peter, 'Thompson, John Joseph Meagher (1907 - 1968)', Australian Dictionary of Biography, Volume 16, Melbourne University Press, 2002, pp 383-384. Sydney Morning Herald, Obituary, 23.2.1987, p.14 and p.43. Thompson, Pat, Accidental Chords, Penguin Books, 1988.